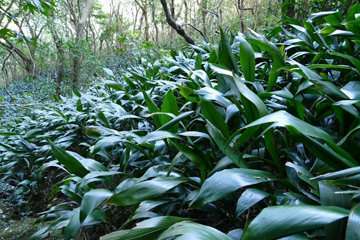 Aspidistra elatior is a popular houseplant, known as the "cast iron plant" for its ability to withstand neglect. It can be found growing all over the world, but is indigenous to southern Japanese islands. Its purple, fleshy flowers bloom directly above the soil, almost burrowing into the ground and often hidden by leaf litter. Their appearance has been compared to mushrooms – one of the foods of choice for the fungus gnats that visit these flowers. 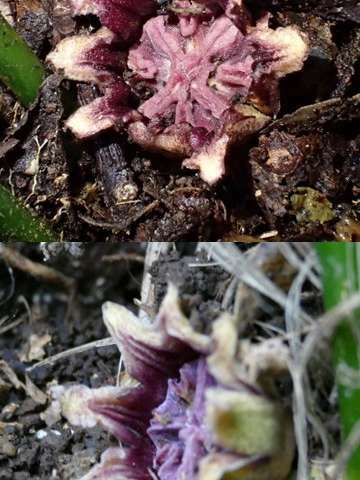 The oddly-shaped flowers of A. elatior are probably a clever strategy: mimicking mushrooms in order to trick fungus gnats into pollinating them. Flying insects such as honeybees and bumblebees are essential pollinators for many plants. However, some plants use other animals for pollination. For example, some banana species use bats, and a species called banksia uses opossums. Reports of slug pollination for A. elatior date from over 100 years ago, when slugs were observed visiting plants in Europe. This theory is still widely accepted and even appears in textbooks. However, the observation has a flaw – it was not made in the plant's natural habitat. Furthermore, visiting a plant does not mean the animal acts as a pollinator. On the contrary, slugs are known for eating leaves and flowers, and they may have been damaging the plants. In 2009 there were reports of fungus gnats visiting the A. elatior flowers. 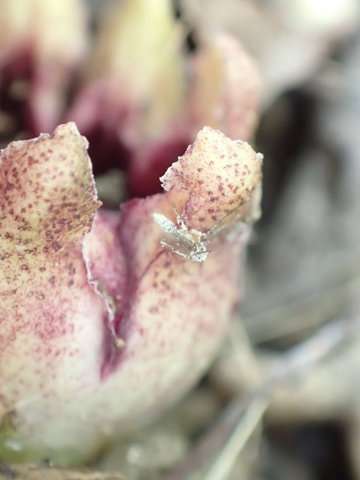 But this observation was also made outside the plant's native habitat, and it was only a single report – not enough for conclusive proof of pollination by fungus gnats.